Dr. Howard K. Gurr, Ph.D. 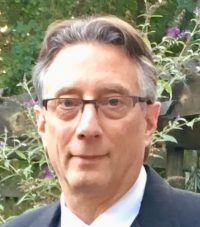 I have been a practicing psychologist for over 30 years, with offices on both the North and South shores of Long Island. I offer teletherapy services to my patients when they are not able to transport to my offices or they have relocated within New York State. As one the few psychologists on Long Island using Virtual Reality Therapy in my practice, I am treating phobias and anxieties in patients of all ages. In addition to my private practice, I consult to Smile Potential Dental Practice Coaching, health centers, and corporations. In order to help educate others about psychological health issues, I also produce a podcast show called, “The Shrink Is “on iTunes. I have earned two Masters Degrees in psychology and a Ph.D. in Professional Psychology with a dual specialization in Clinical and School Psychology. I am a certified school psychologist and a licensed psychologist in New York State. I am also a Distance Credentialed Counselor (DCC) through the Center for Credentialing and Education (CCE). I am a member of the American Psychological Association, New York State Psychological Association, Nassau County Psychological Association and the Suffolk County Psychological Association. 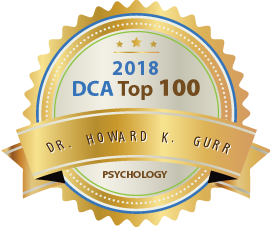 I’ve had the privilege of knowing Dr. Howard Gurr for over 30 years, and have found him to be a highly competent, knowledgeable, and talented clinician. He is a great listener, and is able to effectively counsel and create practical solutions for people in need. I have referred patients to him many times, and they have always spoken in glowing terms about the care they’ve received from Dr. Gurr. He personally demonstrated his Virtual Reality program to me, thus enabling me to fully understand how this can help my patients with phobias. I highly endorse this respected psychologist, and recommend him to you wholeheartedly! I have had the privilege of knowing Dr. Gurr for over 20 years. I have long been impressed with his many skills. He is a top notch clinical psychologist who works effectively with children and adults. His clinical talents are exceeded only by his caring and adherence to the highest ethical standards of practice. He has always been at the cutting edge in the development of new technologies that support practice and can help people in innovative ways. I give Dr. Gurr my highest endorsement. I have had the great good fortune to know Dr. Gurr for the last 20 years and have found him to be a brilliant and talented clinician. His ability to quickly establish an accurate diagnosis, and determine active and innovative ways to bring his patients swift and lasting relief, never ceases to amaze me. He has been blending new technologies with his years of clinical experience to treat phobias in rapid and effective ways that allow his patients to get back to their lives and live them to the fullest. 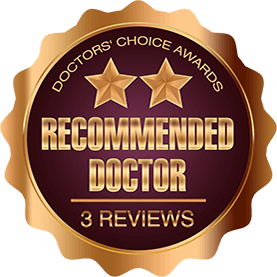 I am a huge fan of his and will continue to to send my patients his way so that they can achieve meaningful results and comfort from a kind and caring doctor. 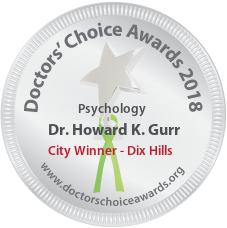 Dr. Howard Gurr is an extremely caring and knowledgeable psychologist who is continually exploring innovative ways to integrate technology with the practice of psychology. He is on the cutting edge as one of the first professionals to incorporate Virtual Reality Therapy in his work. I know Dr. Gurr and his work for over 35 years, have referred to him often, and hold him in the highest esteem. I recommend him to you without reservation. I have known Dr Howard Gurr for over 30 years. He is an extremely knowledgable professional who combines keen insight and deep compassion in all that he does. Mutual patients rave about how they have benefitted from his care. As well as being an outstanding clinician, he is also a very successful educator who has impacted many other professionals with his teachings. Dr Gurr has made a major impact on my life and my career.